This website does not come with a lot of perks. Actually none, until tonight. Thanks to Emilee Ellison of the mayor’s office, I received an invitation to Mayor Menino’s annual, and final, holiday press party at the Parkman House. 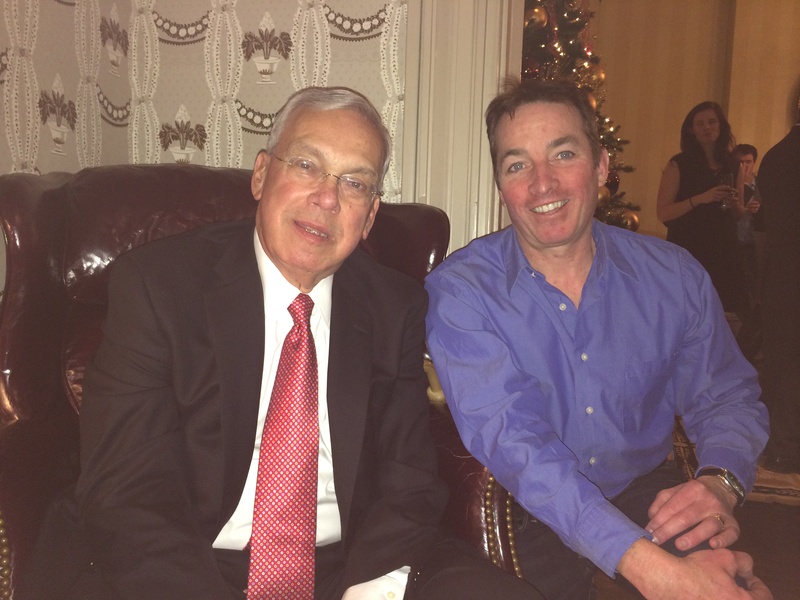 Years ago, I landed in city hall as an aide to newly elected councilor Brian McLaughlin (District 9, Allston Brighton), the same moment Tom Menino became councilor for District 5 (Hyde Park Roslindale) and Ray Flynn took over as mayor from Kevin White. City hall was entertaining, lots of characters. I will never forget Dapper O’Neil dropping a Lugar pistol on my desk as he explicated his heroics during WWII. Menino was lucky, in those days we referred to his district as Sleepy Hollow. The party was fun, free drinks, great food, had fun schmoozing with the bartenders (another one of my jobs) and people I hadn’t seen since my city hall days. And wow, the Parkman House looks amazing. Above all, thanks to Mayor Menino. Public service takes a toll, especially when you are responsible for a major city like Boston. You cannot get away from the daily tough stuff, whether it is a shooting or a snow storm or the missed school bus pickup. It is just there, and the mayor is there, and people look at him to blame, or fix it. So thanks, and good luck to him and his wife Angela.